I was seriously tempted to title this “How to Buy the Farm” as my sense of humor is a bit warped. 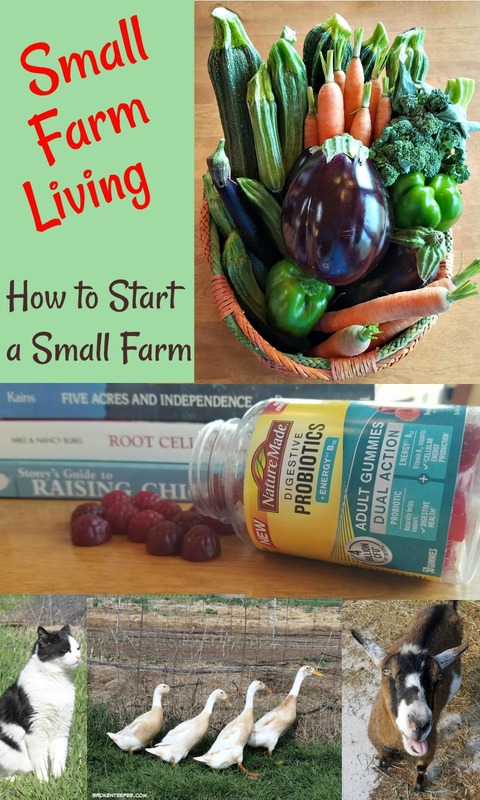 Good sense ultimately prevailed and I am here with an appropriately titled tale to share with you my thoughts on small farm living. I’ve also got some of what goes in to how to start a small farm. I can only share what the hubby and I experienced and we are far from experts. We did learn quite a lot in the years since we bought our lot – through building the barn and the yurt until today. I hope it helps anyone who is looking to chuck life as they know it and move to a more rural world. The decision to settle down on a small farm and grow most of our own food was driven by a desire to be able to have control over what we eat. We wanted to know where our food was coming from and that it wasn’t full of pesticides. I have some health problems and living a more balanced, simpler life could only help. We made a conscious decision to change how and what we ate. In addition to eating a healthier diet I started reading about other changes I could make. I learned about probiotics as part of a better lifestyle. Did you know that probiotics are “good” bacteria that exist in many fermented and cultured foods like certain cheeses and yogurt? They crowd out unwanted organisms and allow more of the “good” bacteria to be present in your gut. I take probiotics every day and have for a while but I was so very excited to find gummy probiotics! I have a very difficult time with swallowing pills. Look! 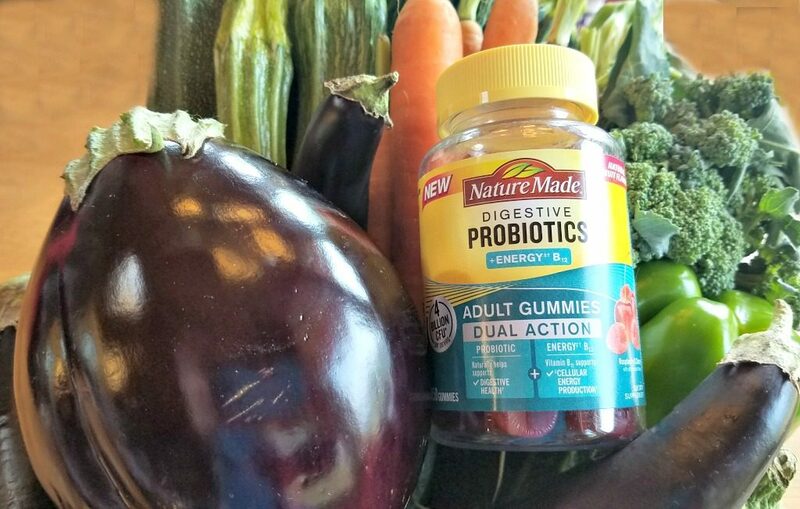 Nature Made® Digestive Probiotics Adult Gummies. Aren’t they pretty? And they taste really good thanks to the natural fruit flavors. Using a probiotics supplement is a great way to increase your intake of “good” bacteria and help naturally support your digestive balance and healthy gut flora.† That is why I take mine every day – and for the 4 billion live probiotic CFUs* per serving. That is a lot! If for any reason you’re not satisfied with the Nature Made Digestive Probiotics Adult Gummies, send it back for a full refund. You can’t beat that! 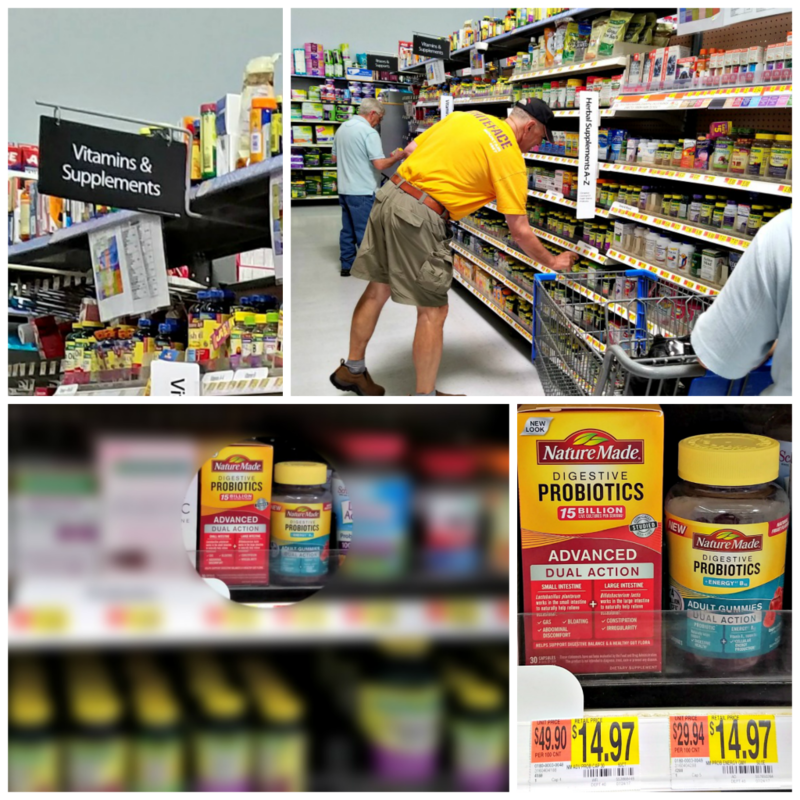 I found the Nature Made® Digestive Probiotics Adult Gummies at my local Walmart in the Vitamins and Supplements aisle. It was a very popular place to be the day I went shopping. For me probiotics and a multivitamin are part of my daily routine. Eating a diet full of healthy fruits and vegetables is also important and that leads me right back to our little farm. So, just how did we end up where we are? Read on to find out! One of the most important things to consider when looking to start a small farm is the size of the property. We knew we wanted to keep goats and chickens so we were looking for at least an acre. Requirements vary from state to state so be sure to research the rules where you choose to live. You will need to know how much land is necessary for the health of the animals you want to keep and for various setbacks for wells/septic, etc. Our initial plan had been to buy a much larger piece of land so we had room to plant hay. 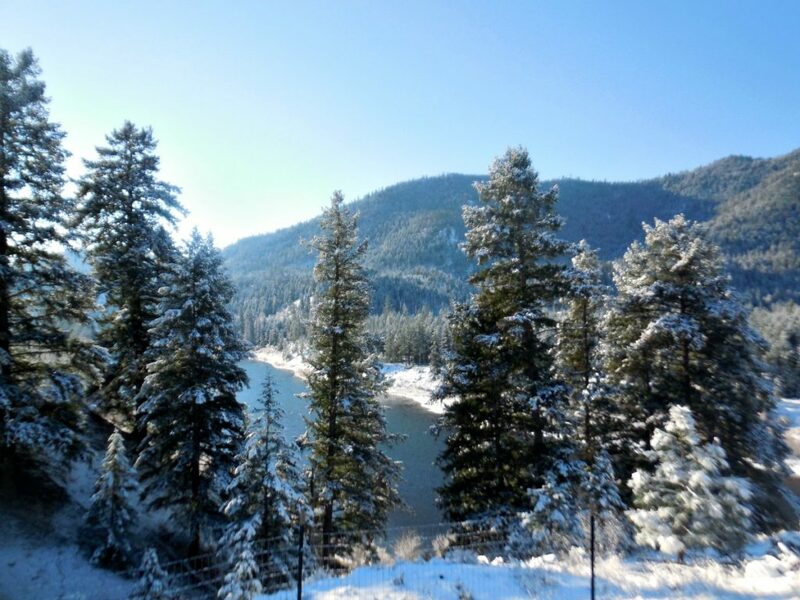 The river view seduced us and we bought a smaller lot with a better view. That’s OK, one’s mental health is as important a consideration in any move as one’s physical health. Growing your own food is a wonderful goal to have. We have achieved it for vegetables – I have not bought any in a store for probably 8 years. It has taken a while to get to where we are and it hasn’t come without a lot of hard work so consider the investment in time and yes, money before you make your move. If you live in an area with deer (and who doesn’t any more?) you will need to fence your garden area. We have a 9 foot fence around our main garden which is about 80′ x 100′. You will also need to make sure that water is available to the garden. When we were having the well readied for providing water to the yurt the hubby had additional hydrants installed. One up by the barn to make caring for the goats easier, one in the main garden area for watering, and one where the trailer was parked for a hookup into it. (We were still living in the trailer while we built the yurt.) It was important to consider these placements ahead of time. Two years later we put drip irrigation in the garden. It’s more efficient than sprinklers. In areas experiencing drought it helps conserve water. 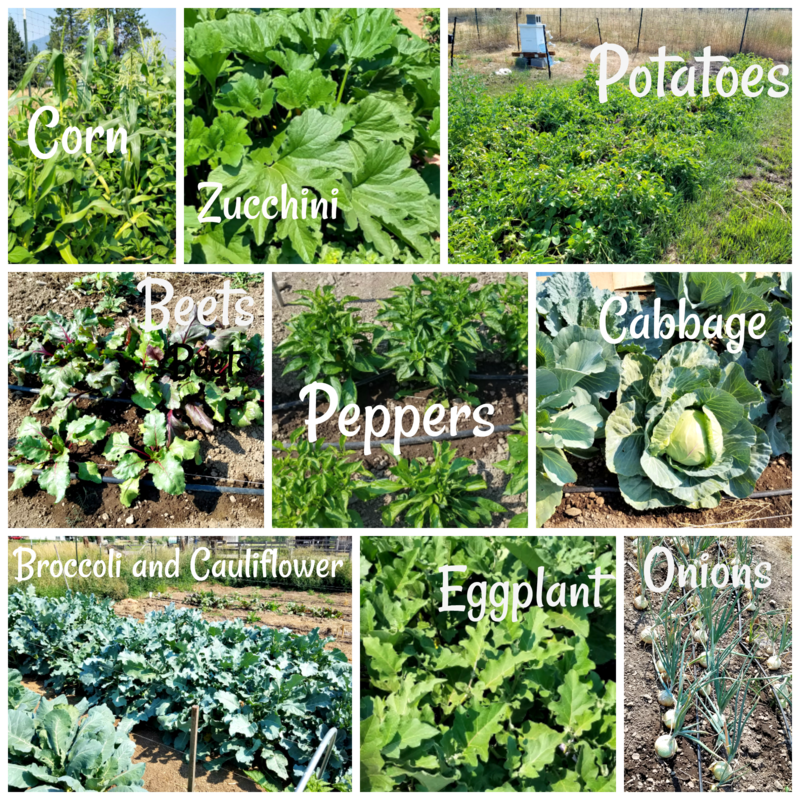 In the main garden we grow beans, snow peas, cucumbers, zucchini, corn, beets, broccoli, cauliflower, Brussels sprouts, cabbage, peppers, tomatoes, eggplant, carrots, melons, and lettuce. I might be forgetting something but I think that’s it. As the years went on we added additional gardens. An asparagus garden has been slow to produce. The berry garden is very successful with strawberries and blackberries but the blueberries have not really produced. Potatoes are growing very well and last year we harvested close to 100 pounds. Next year we plan to add raspberries and hopefully some fruit trees. These gardens have 4′ fences. Keeping animals on a small farm is obviously a larger commitment than just growing vegetables. When we started we wanted goats for milk and chickens for eggs. As you go into your planning for your small farm keep your animals’ needs in mind in regards to housing requirements, grazing areas and any local zoning rules. 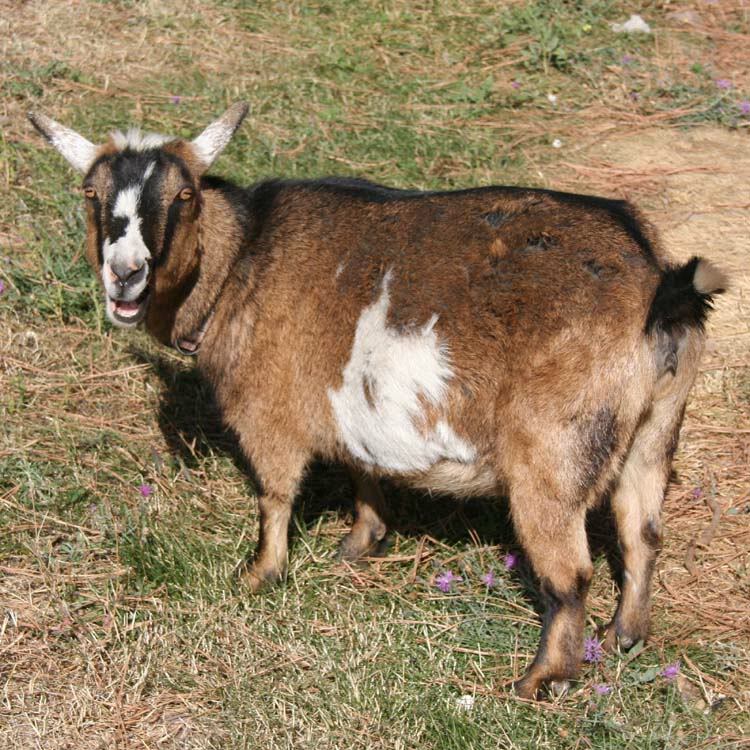 The breed of goat we had on the farm was the Nigerian dwarf goat. It’s a small dairy breed and it was perfect for two people looking to have milk. One doe would give anywhere between a quart and half a gallon a day when in milk. At the height of our goat keeping I was milking 4 does. It was more than enough for our needs for drinking, making cheese and ice cream. I was also able to make soap. The nine years I had the goats were a lot of fun for me. I enjoyed milking and taking care of them. They are highly intelligent animals. It was a very hard decision for me to give them up. It was partially health driven and partially wanting to spend more time with my husband. I do encourage anyone wanting to have delicious milk to keep goats though – they are wonderful animals. With a little education and dedication to their care they will reward you in many ways. Goats require a barn to go into at night, shelter for during the day and strong fencing. You need to start with at least two goats as they are herd animals and one goat will suffer for lack of a herd. They require land to graze and hay for feed in the winter when grazing is not available. There are many books available and lots of information for people looking to keep goats. Chickens can provide eggs and meat. There is a remarkable difference between a farm egg and a factory egg. Chickens are true omnivores and when left to their true natures to range about and eat bugs and whatever else strikes their collective fancy they produce a far healthier egg. A free range chicken is also better eating if that is your choice. You should research which birds are best for your needs. Certain breeds are best for egg laying, others are better meat birds. Some places – usually more urban areas – will not allow roosters. 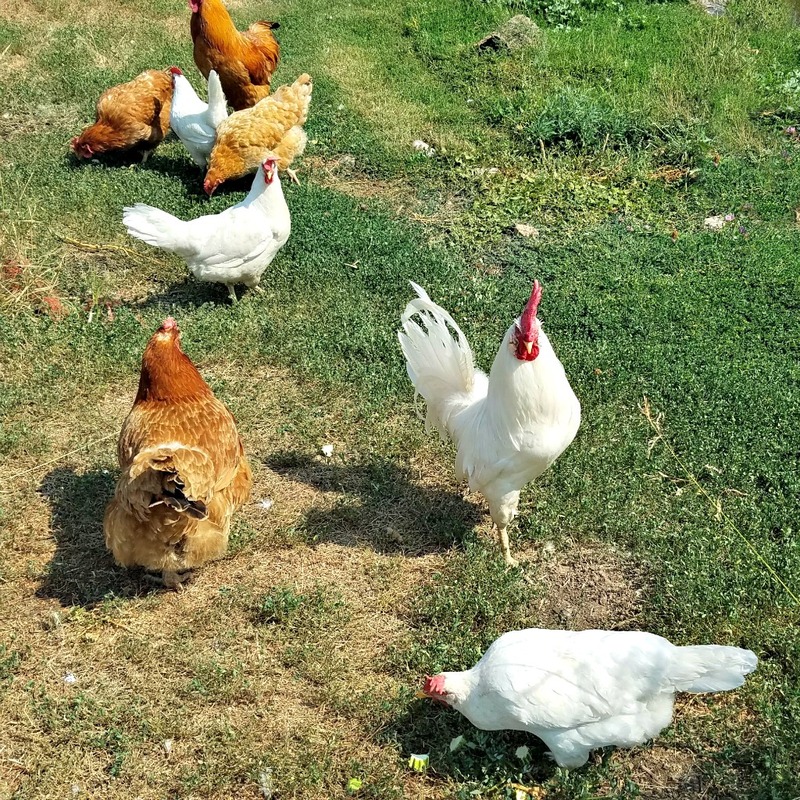 Our chickens are Leghorns (the white birds) and New Hampshire reds. We added ducks to the farm solely for their eggs. Duck eggs are excellent for baking as they have a higher yolk to white ratio. What I was not expecting from them was the entertainment value they bring. They make me smile every single day. If you ask me they earn their feed just from the smiles they bring. 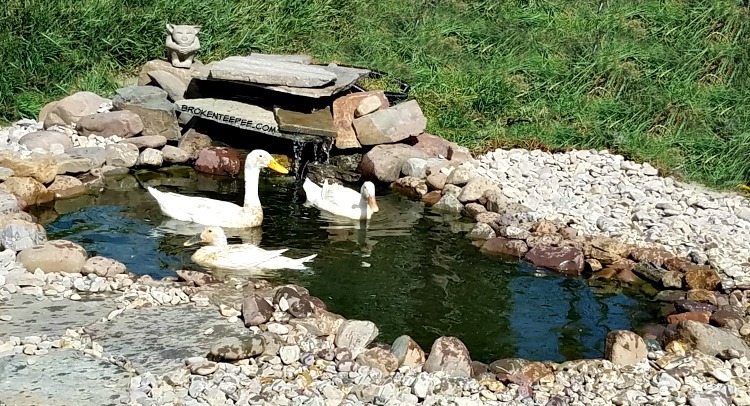 The ducks do require a little more than the chickens as they are happier with a source of water. We did put in a pond for them last year. Previously we had just used a kiddie pool. The ducks didn’t really care as long as they had water but they do love their pond. These are Indian Runner ducks and they do not fly. They do eat a lot of bugs. Watching them chase grasshoppers is hysterical. To learn how to keep the birds was as easy as a little internet research or finding a book on their care. In fact for any of this there are a myriad number of books available. 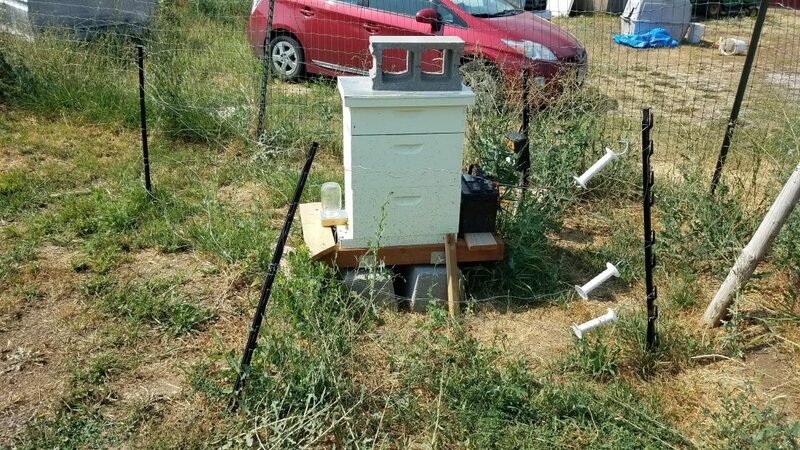 This year we added bees to the farm. We have two hives and as far as we can tell they are doing very well. We hope to be able to harvest honey next year. Another step to being independent and providing another need for ourselves. Before we brought the bees on board we took a series of classes at the local high school as part of their adult education program. Plus the hubby added several books to our farm library. There are also a myriad of videos on YouTube to help when questions arise about caring for bees. We are very happy with small farm living. I will note that it is not all fun, there is a lot of work involved both out in the garden and in the kitchen. 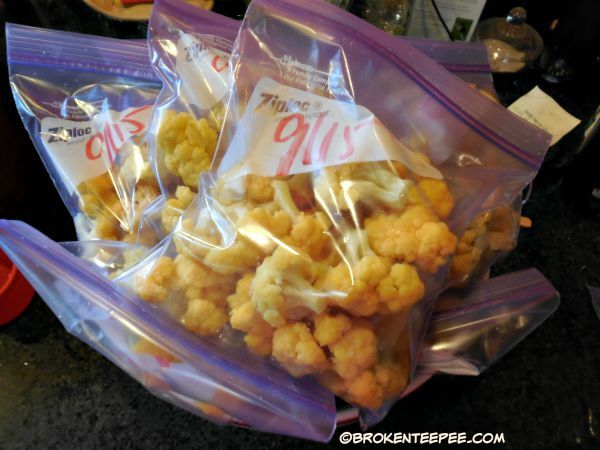 Once the vegetables are harvested I decide whether to can or freeze them. Tomatoes tend to produce well so I will make ketchup, tomato paste, tomato sauce, tomato soup and put quite a few in the dehydrator. I blanch or freeze beans, corn, carrots, broccoli, cauliflower and beets. In years when we have really big harvests I make and can soups to have handy for winter dinners. Cabbages either go into sauerkraut or into large batches of stuffed cabbage for the freezer. The fruits harvested are frozen and some made into jam or jelly. The summer is a whirlwind. But we have a pantry and freezers full of good, homegrown food to eat all winter long. I love to sit down to a meal in winter with vegetables that were grown here on the farm. I also make all of our bread and most of our pasta. It’s part of the commitment to put healthy food in our bodies – not that we don’t have our treats now and then. That is important too. 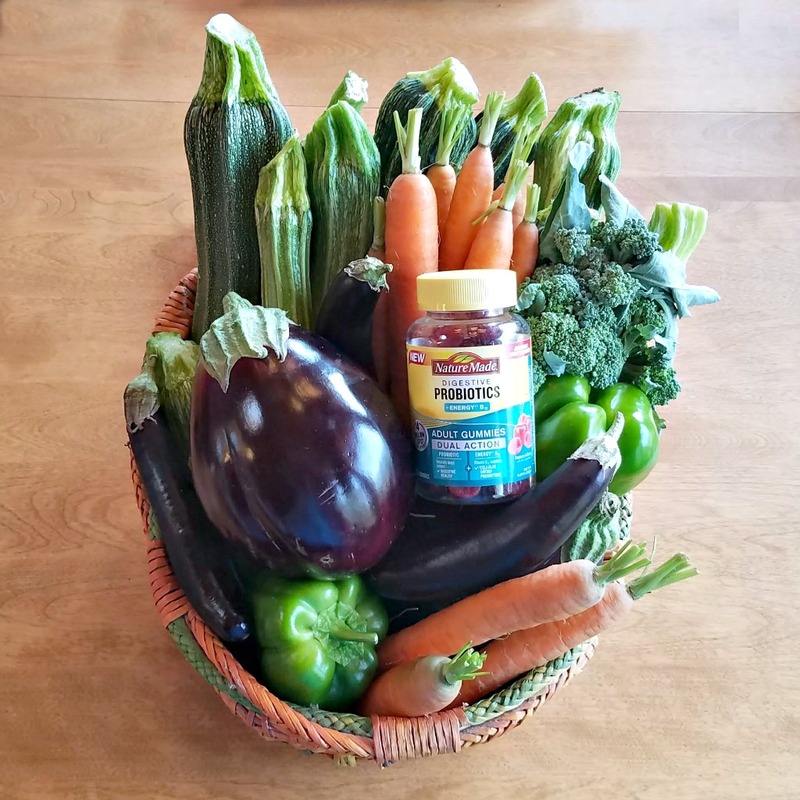 Just like adding a multivitamin and Nature Made® Digestive Probiotics Adult Gummies to the daily routine. *If stored in accordance with instructions provided on the product label. Are you ready to add probiotics to your daily routine? 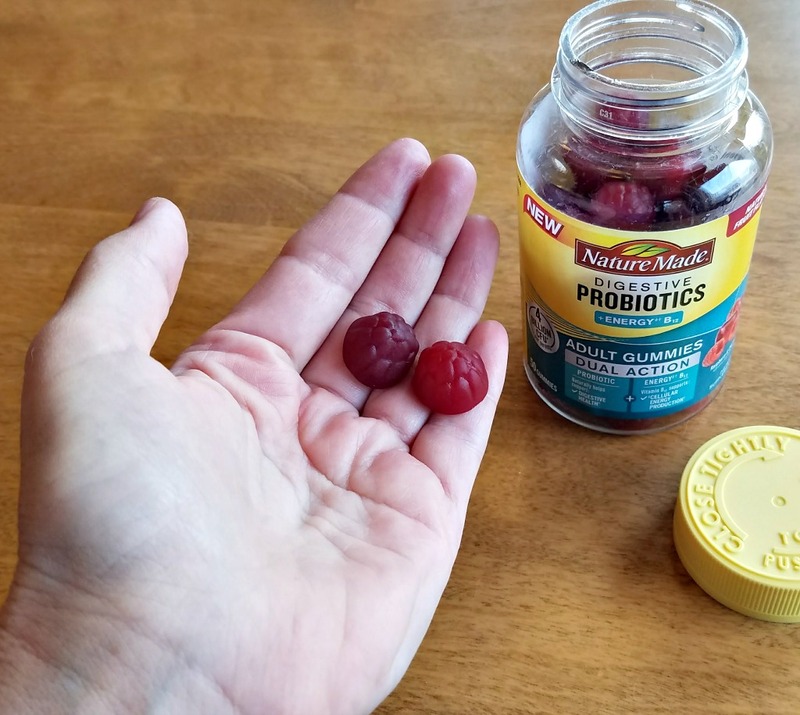 Check out Nature Made® Digestive Probiotics Adult Gummies for an easy way to do so!